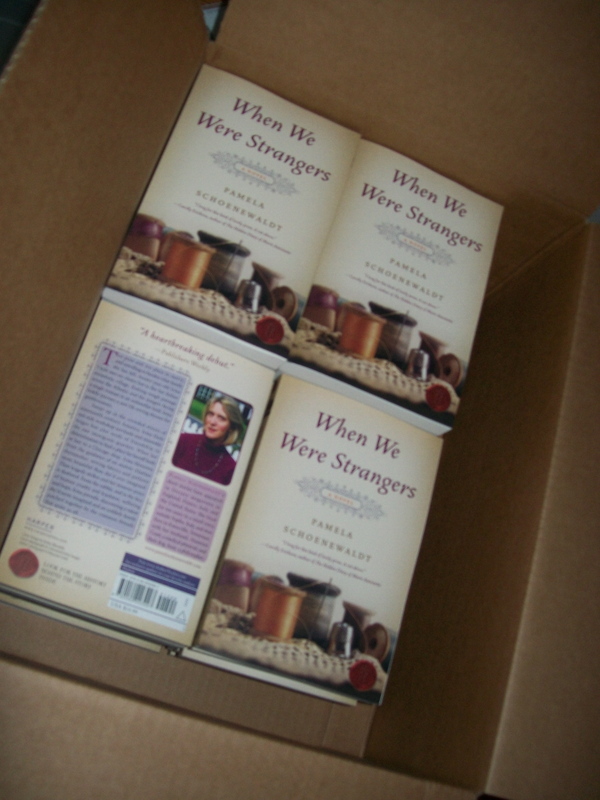 Home › WWWS › My books arrive! This morning, UPS showed my box of author books loaded on a truck in Knoxville at 5:00 a.m. Twelve hours later they arrive in the midst of a sudden sleet shower. Beautifully packed, altogether beautiful, the fruit of a long journey. My lovely idea of photographing Jesse the dog with box fails because of a poor camera, the blackness of Jesse drowning out all detail and most of all his unwillingness to pose. But never mind, the books are here and I’m making up a list of all the wonderful people who edited or critiqued or helped research or were just here during the journey.